You can expect the Federal Reserve to raise interest rates this week, but look for it to shy away from the bigger question looming for financial markets: How does the shock outcome of the presidential election change the economic landscape? 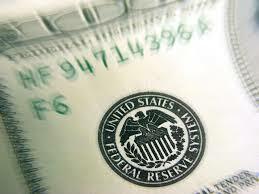 The Fed is widely expected to announce an increase in the target range for its federal funds rate to between 0.5% and 0.75% when its two-day meeting wraps up Wednesday, analysts agree. It will be the first increase of 2016, a year once expected to produce at least a couple of rate adjustments. The stock SPX, -0.11%and bond markets TMUBMUSD10Y, -0.39% have a quarter-point move baked in the cake. At the same time, Fed officials are expected to duck questions about how the incoming Trump administration’s plans for fiscal, trade and regulatory policies will impact the economy and the central bank’s policy outlook. The Fed has already exhibited a preference for staying out of presidential politics. It included no mention of the election in the minutes of its September or November meetings, Reinhart noted. Fed Chairwoman Janet Yellen wants to avoid the recent experience of Bank of England Gov. Mark Carney, who came under fire from Brexit supporters for comments he made during, and after, the referendum campaign that ultimately ended with a vote for the U.K. to split with the European Union. And the Fed doesn’t want to whip up Republicans in the House and Senate who are eager to clip the central bank’s wings, analysts said. Fed officials are not likely to change their economic forecasts or their projections for interest rates over the next three years, economists said. At the moment, the central bank is penciling in two rate hikes in 2017, followed by three rate hikes each in 2018 and 2019. Markets scan the Fed’s “dot plot” to extract a snapshot of Fed thinking on economic and policy projections. Any forecasts beyond mid-2017 will be basically ignored by the market, analysts say. By the middle of the year, the Trump administration could have put its initial stamp on the central bank, filling the existing two vacancies on the seven-member Fed board of governors. At the moment, the market does not expect another rate hike until June. But there are growing expectations that higher interest rates may be needed, perhaps sooner. Bond yields and the dollar DXY, +0.11% have risen in the wake of the election in part due to expectations of a more active Fed. Congress is expected to press ahead with tax cuts next year, and rate hikes could be needed to keep this stimulus from becoming inflationary. “The market reflects optimism about the future for economic growth, but the Fed is going to be overly cautious of latching on to that reality,” said Tom Simons, an economist at Jefferies in New York. For Yellen, the end of her tenure at the Fed is only 14 months away. Republican insiders think it is highly unlikely Trump would offer Yellen another term at the helm of the central bank. Analysts think Yellen won’t leave early and will follow her policy instincts until the end.